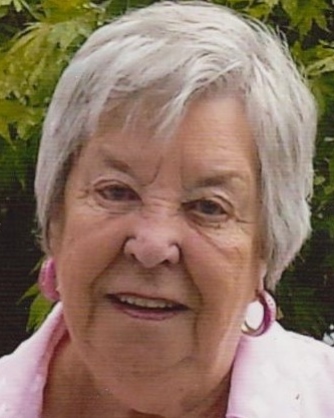 Dorothy Jane Lasley Smith Vandiver, 83, of Soddy Daisy, TN, passed away August 4, 2018. She was preceded in death by her parents, James and Burley Lasley; brother, Glenn Lasley; husbands, TH Smith and Paul Vandiver; son, Bruce Hans Vandiver. She is survived by her three daughters, Brenda Smith, Dede (Gene-o) Shipley, Jan (JE) Neighbors; son, Tommy Smith; sisters, Jewell (Johnny) Patten, Jimmie (Gary) Campbell; grandchildren, Matt Hickman, Amy Shipley (Brian) Mills, Trey (Kristen) Shipley, Chris (Paula) Neighbors; great-grandchildren, Major and Mia Hickman, Hunter, Jacob and Brett Mills, Tripp and Savannah Shipley, Seth and Luke Neighbors; niece, Jennifer Patten (Stacey) Allison, and not to forget a very special person in her life, David Stuart. Visitation is 4:00 P.M. to 8:00 P.M. Wednesday and 10:00 A.M. to 12:00 P.M. Thursday at the funeral home. Services will be 12:00 P.M. Thursday, August 9, 2018 at Williamson & Sons Funeral Home. Interment will follow in Chattanooga National Cemetery.